Dr Keith Eltringham (1929-2006) was a zoologist, wildlife manager and conservationist. His career, having been trained in zoology and aviation, began as a pilot biologist for the Wildfowl Trust, Slimbridge from 1958 until 1961. He undertook aerial surveys of animal populations here. Eltringham was Assistant Lecturer in Zoology at King's College London from 1962 until 1967. He lectured there for courses on marine biology and conservation. In 1967 Eltringham was appointed as Director, Nuffield Unit of Tropical Animal Ecology, in Uganda. He directed research relating to both animals and plants in the Queen Elizabeth National Park and took over the existing game counts and surveys. Research was undertaken at this, the first wildlife research station in Africa, into elephants, buffalos and TB, large mammal parasitology, and on the grass communities. Postgraduate research took place into pelicans and Uganda kob. Visiting scientists researched hares, banded mongooses, ultrasound in bats, rodents and insects. Eltringham's work on the over-population of elephants played a role in achieving the worldwide ban on the selling of ivory in 1989. 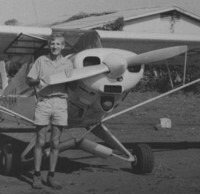 As Chief Research Officer, Uganda National Parks from 1972 until 1973, Eltringham most importantly performed aerial surveys of pelicans and various large mammals. Eltringham was then appointed as University Lecturer, Department of Applied Biology, University of Cambridge, from 1973-89, and as University Lecturer, Department of Zoology from 1989 until 1997. He was also an Emeritus Fellow of Wolfson College, Cambridge from 1988-97, and Admissions Tutor there from 1995 until 1997. Eltringham's conservation work involved alerting authorities to animal overpopulation, human or cattle encroachment and to declines in particular species. He reported to the IUCN (the World Conservation Union) on the reduction of the common hippo throughout Africa. This resulted in the species' addition in 1995 to Appendix II of the CITES convention, whereby trade is strictly regulated. Eltringham bequeathed a number of his books, pamphlets, journals and theses (written by students that he supervised throughout his career) to the Balfour & Newton Libraries in the University of Cambridge's Department of Zoology. The subjects covered by the collection broadly reflect the work he did throughout his career. The items comprise monographs, wildlife management reports, research reports, policy documents, wildlife park management plans, field guides, journals and Ph.D. and M.Phil. theses written by his students from universities in Africa and Europe. Topics cover ecology, wildlife conservation and management, and deal with African mammals, reptiles, insects and birds, as well as grasslands and forests. It is hoped that undergraduate students will be able to use the collection for project work in the area of African mammals and related subject fields. It should also be very useful to postgraduate students doing research in similar subject areas. The items in the collection have been individually catalogued on iDiscover, the online catalogue for the libraries of the University of Cambridge. They have also been included in the card catalogue in the Balfour & Newton Libraries, which can be searched by author surname only. Dr John Flowerdew wrote Eltringham's obituary, which was published in The Independent on 22nd February 2006. A copy of this has been framed and mounted next to where the collection is situated in the Balfour Library. Download a full list of books, journals and theses in the Eltringham African Collection here.